No, it's not just your bad luck causing it. Don't you just hate it when you have a make-or-break presentation with a client, or a date with your cute neighbor, and your hair is just all over the place? 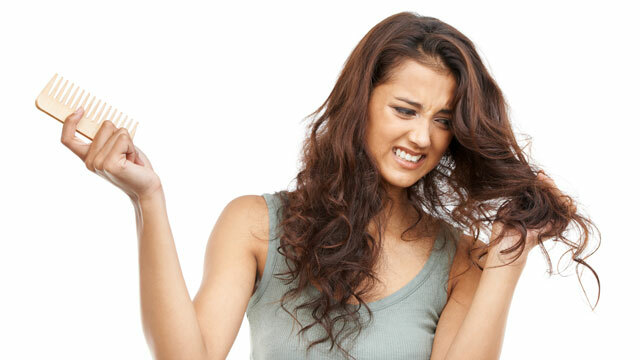 Bad hair days aren't about bad luck, but rather, a result of seemingly harmless hair habits developed over time. Here, we list down five of them. 1. You comb your hair while it’s still wet. As much as you want to loosen those tangles right after a shower, doing so may cause breakage since your hair is most fragile when it’s wet. Let a towel absorb the excess water first before you even try combing through your tresses. 2. You use hot water when you shower. Sure, it’s relaxing, but showering with hot water can strip your hair of its natural oils, making it look frizzier. Start off with lukewarm water and after you shampoo and condition, rinse off with cold water for a smoother and shinier finish. 3. You don’t watch what you eat. Your diet can also affect your locks. Eating too much junk food may contribute to your greasy and dull mane. Our suggestion: Pack on nutritious foods that are rich in protein and omega-3, like fish and meat. 4. Stress is getting the best of you—and your hair. Stress doesn’t just show on your skin (hello, breakouts! ), but also reflects on your hair. When you’re under a tremendous amount of stress, your blood vessels get constricted, depriving your hair of the oxygen, minerals, and vitamins it needs to be healthy. 5. You’re not using the right shampoo and conditioner. Shampoo and conditioner are meant to maintain your mane, so if they’re doing the exact opposite, it may be time to switch. For healthy-looking hair, try Dove Intense Repair shampoo and conditioner. With advanced damage care and repair technology, they nourish your hair and stop damage even before it starts—perfect for the woman who always has a lot going on in her life. Learn more about Dove Intense Repair shampoo and conditioner by heading to their website here and visiting their Facebook page!